Get ready for Halloween! 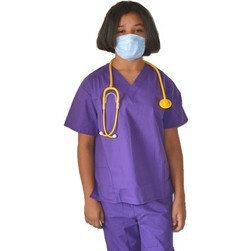 Our Kids Dentist Costumes are made with real authentic Lab Coats and Scrub Sets just like the uniform your Doctor wears only made smaller. We use Top Quality Fabric and Premium Stitching on all of our items so your little one will look like a real Dentist with these costumes. Some of our costumes come with a Dentist Embroidery Design but don't forget to add Personalized Embroidery and make it a gift to remember. All of our Dentist Costumes are Unisex for both Girls and Boys. 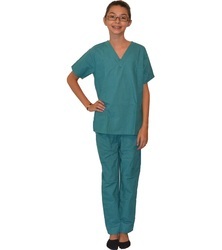 Every little dentist needs a set of these Kids Scrubs! Every little dentist needs a Lab Coat! 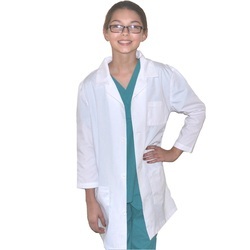 Your little dentist will love wearing this fun Kids Lab Coat.